We have a variety of different types of timber and wood for sale; pressure treated timber including round & square posts, railway sleepers and much more. We also stock a range of Timber Cladding and PAO Timber. Not all our timber types are on the website. 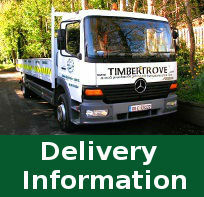 For the full range of timber sizes and prices, please contact us on 01-493 1034. We can cut the timber to your requested length.